Saturn can perhaps be termed as the most feared divine entity. He is one of the Nava Grahas, the nine planets, who wield a strong influence over the lives of the individuals. Saturn is also known as Shani. He is the only planet called Shanishwara – ShaniIshwara – a sobriquet usually given only to Lord Shiva. There are some legends which regard him even as an Avatar of Shiva himself. 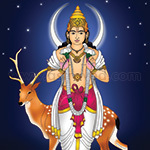 Saturn is called as Jeevana Karaka and also as Aayul Karaka, as he controls vital aspects of existence like livelihood and longevity. 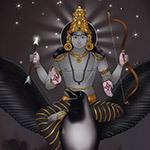 Shani is regarded as an AshubhaGraha, an inauspicious planet, and when he transits through a person’s zodiac sign, he generally makes sure to put him or her through trials and tribulations. Even those who remain successful all through their lives may suffer during their Saturn period. But Shani is only just and fair and gives results strictly as per one’s karmic deeds. He can also be a great benefactor and be merciful to the humble devotees, who worship him with sincerity; he can relieve them of their sufferings and bless them with many good things in life. Saturn ultimately leads a person only towards the good and unique path of life, but the way he carries this out may look quite harsh. 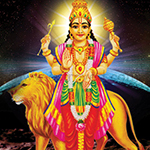 Saturn Pooja is a form of Shani worship and is believed to be quite potent in getting this planetary lord’s mercy and grace. What Saturn provides by putting people through various difficult experiences of life are, realization, peace, and happiness. Lord Yama, the God death is also said to be his ruler. 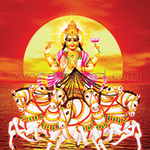 Hence, Saturn pooja can remove fears, and make deep understanding dawn in the minds of the devotees. Saturday is Saturn’s day and remains the weekday ruled over by the planet. 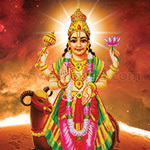 So, it is advisable for performing the Saturn pooja on Saturdays, for optimum effect. There is also about an hour under the strong influence of Saturn and is known as Saturn Hora. 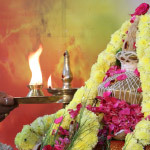 This Saturn Hora time is also recommended for this worship, and Saturn pooja can be conducted during the Saturn Hora of any day. 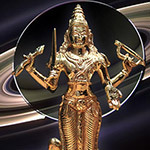 Saturn Pooja’s most significant advantage can be the protection that it can offer to the devotees from the hard grind that the planet itself often subjects people to. This can also give benefits which can both be material and spiritual, and even tangible and not-so-tangible. 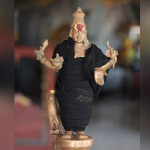 The worship can help people understand the reality of existence and their limitations; be conscious about discipline, responsibility and sense of duty; master ambitions and tune themselves to practical realities; see opportunities in whatever form they come in, make good use of them and progress in life and career; and develop intense awareness about aspects like humility, compassion, righteousness, spirituality and Godliness. This is the sacred hymn in praise of planet Saturn. 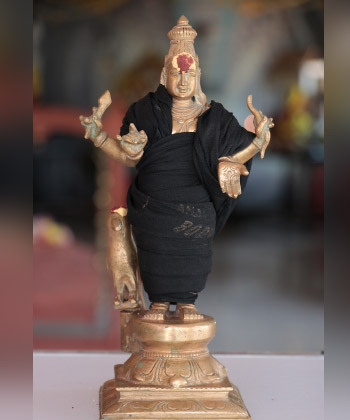 This pays obeisance to Shani Bhagavan and seeks his grace for relieving the devotees from problems and difficulties. It is believed that chanting this mantra during Shani pooja can benefit devotees immensely.